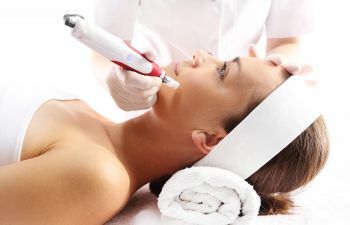 Micro needling treatment is an excellent and safe option for patients who want to improve their skin appearance. We have a staff of dedicated cosmetic skin care specialists who are devoted to helping patients regain confidence in their skin with our aesthetic services. You can trust our dermatologists to take advantage of the latest in skin care technology and state-of-the-art equipment to deliver the results you deserve. We offer a wide variety of skin therapy treatments in the comfortable environment of our Atlanta or Roswell office, ensuring you get the most personalized and successful treatment plan available. Reduce Fine Lines and Wrinkles! You can count on our cosmetic skin care professionals of Olansky Dermatology Associates to reduce your fine line and wrinkles today. As a comprehensive dermatology practice in Atlanta, we can not only help you regain youthful skin appearance, but our skin care experts are equipped to keep your entire family’s skin healthy for years to come. For more information on our advanced aesthetic services or to schedule an appointment for Rejuvapen micro needling treatment today, contact our Atlanta or Roswell Micro Needling Treatment Specialists at Olansky Dermatology Associates.